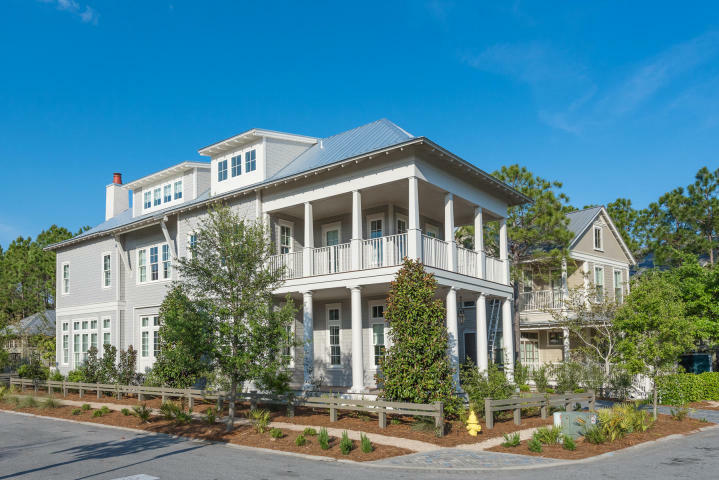 Modern aesthetics are merged with coastal sensibilities at this new construction residence built by Romair Homes in Phase II of the WaterColor community. 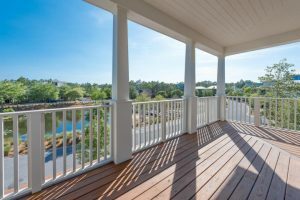 Nestled on a large corner homesite, every finish and feature has been meticulously selected to create a luxurious lifestyle including spectacular outdoor spaces. Abundant windows allow natural light to shine through the open living spaces with light hardwood floors and soaring ceilings. A huge marble island that comfortably seats six is the centerpiece of the fully-equipped kitchen with custom cabinetry, dual sinks and commercial grade appliances. A standout feature of this home is a covered cabana room directly off the interior living room. Complete with an outdoor fireplace, this luxe lounge space offers direct access to a private swimming pool and spa. The second story offers two guest rooms with ensuite bathrooms, a sitting area with balcony and an exquisite master suite with a stunning marble bathroom. 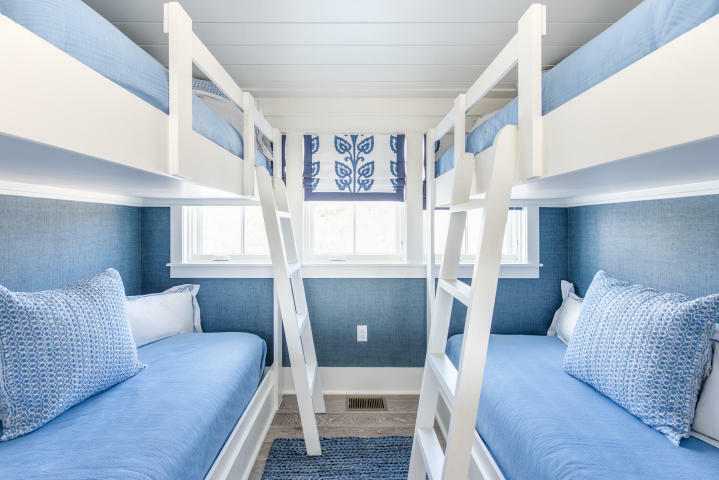 An additional guest room, bathroom and a secondary living room with built-in bunk area on the third story create the perfect retreat for younger guests. 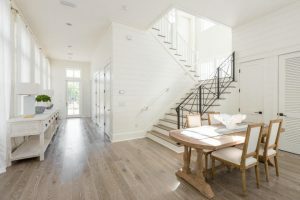 Wide covered porches with beautiful community and pond views on both the first and second levels add outdoor living space and classic WaterColor style to this four bedroom retreat in one of 30A’s most coveted communities. Want to see more? CLICK HERE for the complete listing.